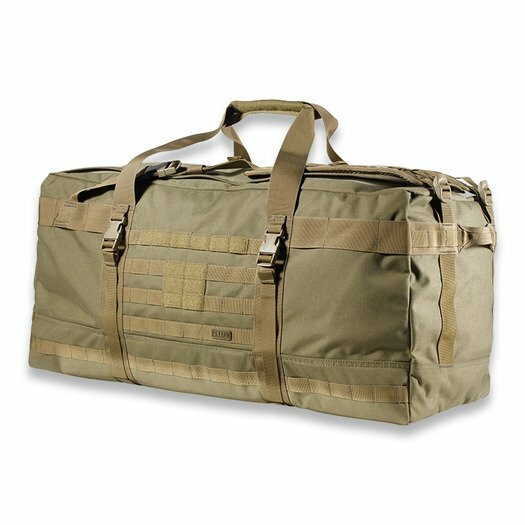 15.5" H x 31" L x 15.5" W main compartment. Capacity: 122L. 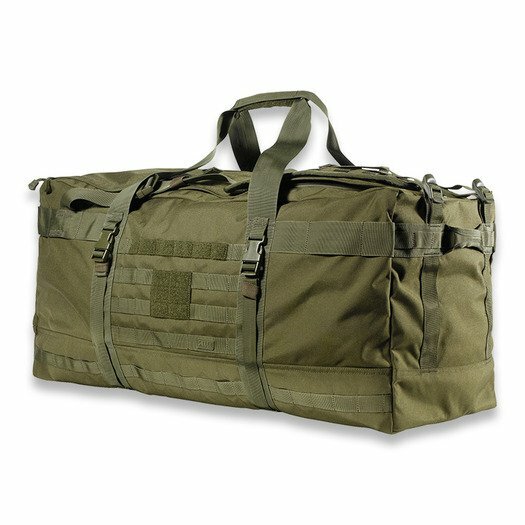 Converts easily from a heavy-duty duffel bag to a backpack. 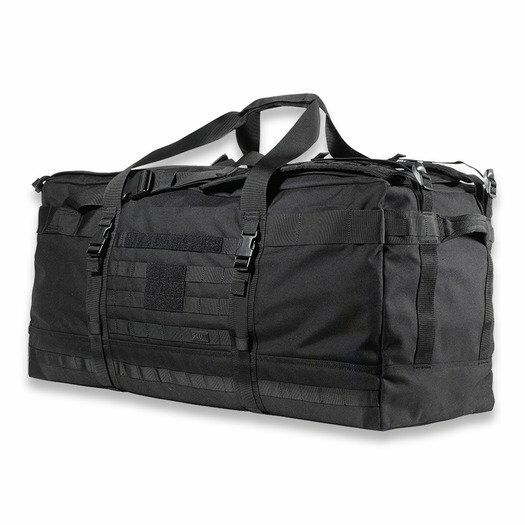 Interior mesh pockets and MOLLE platforms provide roomy, customizable storage options. Internal compression straps hold gear securely. Durable 1050 denier nylon construction. Reinforced carrying handles and grab handles.